Come see this wonderful property offering views, privacy & single story living! 2.52 Acres 1669 Sq Ft 3 Bed 2 Bath with a 2 car garage. Featuring laminate flooring for easy living. A wood stove with a cultured stone hearth make for a warm and welcome feel! Family room has a sliding glass door to a covered back deck. Home has been well maintained, roof replaced approx 5 years ago! You can sit and relax for hours out on the property, it is a very nice location and has so much to offer. 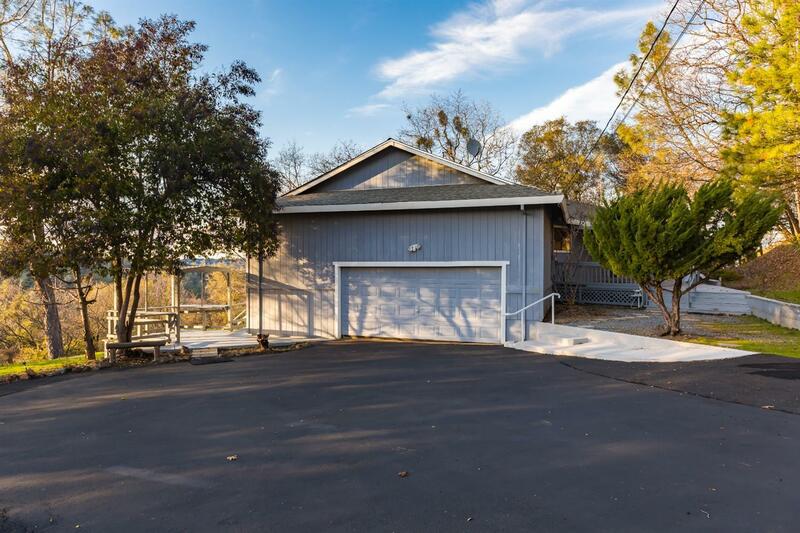 The rolling property is fenced and features a gated entrance & nice paved driveway! Enjoy all the recreation this area offers including the miles of equestrian/hiking trails, rafting, wine trails and more! ATTENTION EQUESTRIANS! Would make a great horse property. This is perfect location for commuting! No CCRS or HOA fees.